Blogger is in the cloud which means it cannot be hacked. From time to time, you may have heard a lot of top ranked websites using different CMS (Content Management Platforms) getting hacked by brute force attacks or whatever you like to call it. On the other hand, you would never hear a site hosted at Blogger was hacked or compromised because Blogger is using cloud technology, which makes it almost unbreakable, may be indestructible. In this article, we will discuss Why Blogger is in the Cloud, what are its benefits and why you should use Cloud technology? When it comes to storage, backing up and even getting remote access to your business data the cloud is efficient, powerful, straightforward, and great. Now can we clear the children out of the room? What is the cloud? Its ok you are not alone a recent poll confirms that 78% of American cannot define it even if they use the cloud. 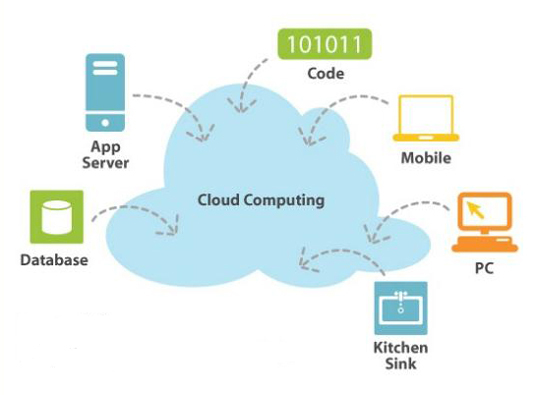 Cloud technology can be termed as the evolution of Internet. It is an internet based computing which shares resources, information and software to computers and other electronic devices on-demand much like electricity. It provides information to only authorized users wherever and whenever they need. This technology provides you the flexibility to protect your confidential data from anonymous users. Some leading companies always rely on cloud computing to protect their confidential data from their competitors. It is risk free and most reliable technology. 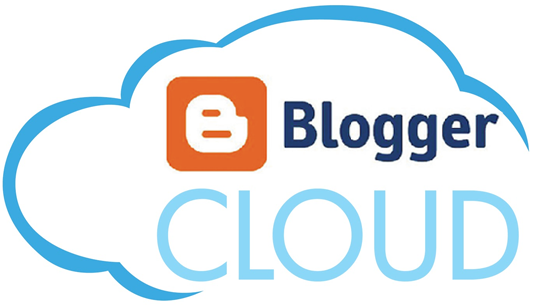 Why Blogger is in the Cloud and its Benefits? According to the evaluations, over a half of Trillion blogs have been hosted on Blogger and users are creating thousands of new sites a minute. To provide hassle free service to its users, Google uses cloud technology to keep their growing network durable and reliable. This technology not only helps a site to boost-up its performance but also assists you in protecting your site from any kind of malware, spam and viruses. Stability: Storing your data in secure and reliable data center will also give you a significant increase in stability. The Data centers and the real-time backup technologies allow your site to keep up the site and significantly reduce downtime and nearly remove information loss. Security and Privacy: Data stored on local devices such as computers, hard drives or desktops are less secure. More often, there is a high risk of getting your system hacked. This is the reason, why a lot of prominent corporations prefer to upload their legal information on cloud servers so that it cannot be accessed by any anonymous user. Blogger also uses the same technology to secure its servers. This makes almost impossible for a user to illegally gain access to a site. Globalize Your Work: People living in every nook and corner of the world can access your site with ease, provided they have an internet connection. It helps you to globalize your website – reach your audience all across the globe. Large Storage Space: Cloud technology is the only reason why blogger gives you the unlimited hosting bandwidth and unlimited disk space. You can all this with less than a 20$ per year and if you are not using a custom domain you can all this for FREE. Why you should use Cloud technology? There is no reason why you should not use this fascination technology. It is a ray of electronic devices like smartphones, PCs and even connected TVs which through the web connect you to big fast computers or may be servers which themselves stores enormous amount of information. You don’t need to have all the information stored on what you are carrying. You just need to connect to it. There are lots of benefits, first Keep information stored in one place can be access by anywhere by anybody in your group. Second, gadget departments can save big money because gadget you are caring around needs fast web access not more memory. Let’s see remote access to data and services for less money all stored on the cloud, you can’t be serious. We are sure this article, would somewhat help you in understanding why Blogger does not allow you to host content so freely. There are few limitations, which you need to study. What are your thoughts about it? 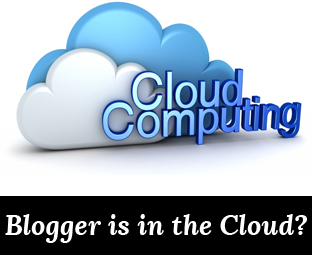 Do you already know that Blogger is the cloud? If you have any tip or information related to this topic, then do share it with us. First comment: awesome article for those who're not familiar with Blogger and Cloud Technology. It's very useful in case of me too. thanks for sharing Syed Faizan Ali bhail...!!! Ya its 100% that blogger platform webasite will never hacked its a powerful CMS system by Google. Google has prepared sophisticated softwares for all hacking ways. blogger will never hacked. I am sticking to blogger because its designs are evolving! and no one can hack it.